I had wanted to do updates daily, like normal, but actually compose the post the night before. As you can tell, from the lack of updates last week, that didn’t work. So, this week, I’ll be doing what I had been doing for the past months, where I upload all the images on Sunday night along with the posts. Maybe next week I’ll do a hybrid of the two and see how that works. It’s just I’ve been so busy with both work and life in general, that I haven’t had the time after work to actually put up any images. It’s not that I don’t have any, just that, well, I don’t have time. 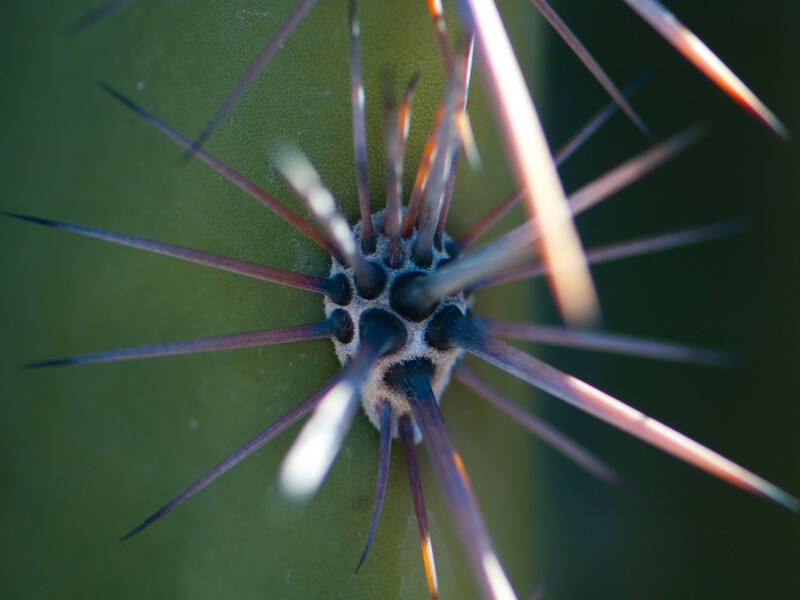 Anyways, here’s the areole of a saguaro cactus. After editing a few images today, I’ve realized I need to take the image I think I want, and then get closer. With the 105mm lens I have, I can do that, and I think I’m missing the real best picture by not stretching myself to do more. I say this because I really like the thumbnail image of this one, even more so than the original size. However, there isn’t enough detail to blow it up large.